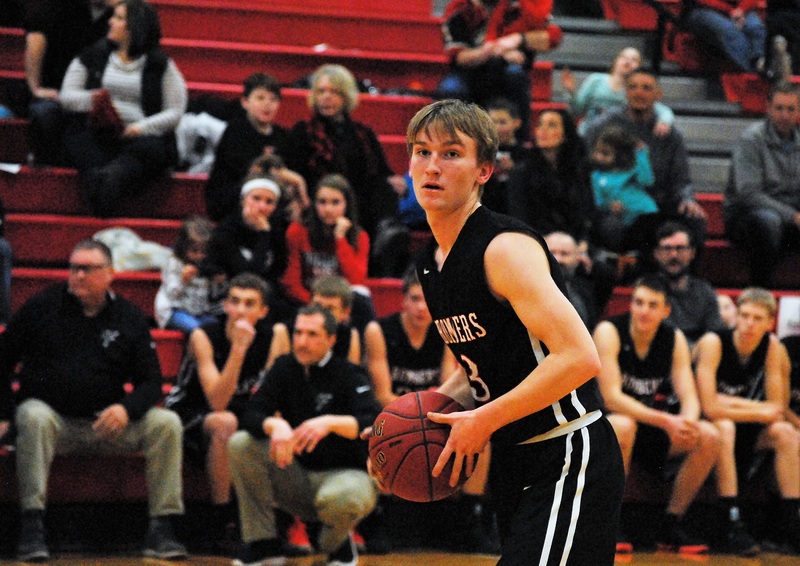 The CFHS boys' basketball team finished the season as a close-knit group. Number 30, Felix Agyeman, makes a shot for three points, winning the game for the Cannon Falls Bomber Basketball team. The audience roars after the buzzer sounds, an experience rare in the high school. Many of the seniors thought of this as the highlight of their season. These moments are what keep a player’s heart into the game and keep them wanting their feet on the court. Seniors Ryan Dirckx, Isaac Banks, Chase Reber, and Gage Hildebrandt will be missed by next year’s team. Now that the season is over, these memories are what stay in the minds of graduating players. The boys ended the season with a record of 11 wins and 15 losses. Records show how the team has tremendously improved their scores compared to last season. Within basketball, we see players work on passing, ball handling, and shooting. But there’s also plenty more to the game. The boys learn to work with each other and when spectators see them from the stands, they can see a bond between the players. With only 5 of a team’s players on the court at a time, teamwork is much needed. However, the boys on this team find a way to incorporate each teammate’s strengths when on the court. Sitting in the red plastic seats, one can see competitors struggle to keep up with the Bomber boys basketball team as the team utilizes the bond between players and a love for the game to play their best games.